The Continental Hotel from Turnu Severin has 112 rooms (27 singles, 78 twins, 5 suites), including 69 recently renovated rooms. The hotel has rooms with air conditioning, minibar, phone, cable TV, Internet. Savour a real culinary trip in the restaurant nearby the Danube where you may relax during summertime at the terrace with a view towards the central park. 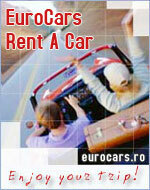 Find here classic preparations and traditional Romanian specialities. The restaurant has 200 places and it is open daily from 12.00 to 24.00. Find here a summertime oasis, a charming place where you can savour a picnic on the Danube shore. The terrace has 90 places and it is open from 12.00 to 24.00. It is located at the ground floor of the hotel and it offers various cakes, ice creams and juices. The confectionery has 40 places, plus a summer terrace of 140 places, open from 10.00 to 24.00. The hotel has one conference hall equipped with projector, screen, flip chart, audio equipment, TV and PC.